A new Toronto-based campaign is aiming to change the global conversation on CEOs, workers, and the real value of their labor. Wagemark offers a simple way to help create organizations and societies that are competitive, prosperous, and fair. The 32,400 employees at Goldman Sachs averaged $383,374 each last year, the Wall Street banking giant disclosed last week. Typical employees at Goldman, of course, didn’t take home anything near that $383,374. How much do typical Goldman employees actually make? We don’t know. U.S. banks and corporations don’t have to reveal how much they pay their workers. They do have to reveal how much they pay their top execs. In 2012, Goldman CEO Lloyd Blankfein took home $26 million. Bank clerks nationally, the University of California at Berkeley’s Labor Center reported last month, only average $24,100 a year. Lloyd Blankfein last year likely took home somewhere close to 1,000 times the pay of his bank’s lowest-paid workers. Elsewhere in America, CEOs at major financial and corporate enterprises are pulling down over 350 times average U.S. worker pay. No other nation sports a pay gap that wide. But other nations are catching up. Canadian CEOs took home 105 times average Canadian pay in 1998. They’re taking home 171 times today. What can we do to reverse these widening gaps? Toronto-based public policy analyst Peter MacLeod has one idea. We need, he says, to start “naming and normalizing” a more rational and equitable standard for who gets what. We need, in effect, to start honoring enterprises that practice fair pay and stop rewarding — with our consumer and tax dollars — those enterprises that are making our societies ever more unequal. To gain Wagemark certification, enterprises must pay their top earner no more than eight times their lowest-paid workers. To gain this Wagemark certification, enterprises must pay their top earner no more than eight times the pay of their workforce’s lowest-paid 10 percent. The “most conspicuously equitable” of these small- and medium-sized employers make up the initial core of Wagemark-certified organizations. Some of them — like the Bellwoods Brewery — already enjoy wide name recognition, and this spring Wagemark will be announcing many more such enterprises. 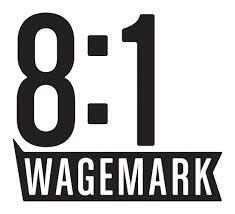 Wagemark-certified companies, nonprofits, and public agencies have all had an independent accountant or auditor confirm that their organization meets the Wagemark eight-times pay standard. The word about Wagemark’s certification process is beginning to spread. News stories on it have so far appeared in most all the major Canadian news outlets, and last month Upworthy introduced Wagemark to a broader online audience. Wagemark will be a resource for consumers who want to spend their dollars with companies that actually treat people well. In Scandinavia, MacLeod would learn from this discussion, “people don’t find the eight-to-one ratio particularly radical.” And Americans back in the middle of the 20th century, he adds, wouldn’t have considered an eight-times standard all that radical either. Back then, even the largest American corporations seldom had pay divides between top executives and workers that went wider than 30-to-1 — and America prospered. With a relatively narrow corporate pay gap in place, a mass middle class, the world’s first and finest, took root. The American CEO-worker pay gap today is running over 10 times wider than that 30-to-1 of the mid 20th century, and MacLeod regularly runs into apologists for this wider divide. No evidence, MacLeod points out, supports that contention. What has changed over the past half-century? Our cultural pay paradigm, how we value workers and their work. Pay differentials that would have seemed unconscionable only a few decades ago now seem business as usual. No single silver bullet can fix our executive pay problem. Wagemark is aiming at nothing less than challenging today’s suffocating sense that pay excess at the top reflects some inalterable market inevitability. But efforts like Wagemark, MacLeod stresses, can never succeed in isolation. The folks involved with Wagemark see their work as a complement to campaigns for minimum and living wages and drives to make tax systems more progressive. And they’re also building for the long run. They’ve designed their certification process to be completely self-sustaining. Enterprises seeking the right to showcase their Wagemark status will pay a small fee to go through the certification process. The Wagemark Foundation will be devoting this fee income to maintaining a registry of certified fair-pay employers and commissioning original research on how pay disparities impact the effectiveness of our enterprises. Coordinating all this will be a small Wagemark paid staff. Wagemark can help up the heat on corporations that continue to brazenly manufacture inequality. The Wagemark team has no illusions about Fortune 500 companies getting on line anytime soon to apply for eight-to-one ratio certification. But they do see Wagemark making concrete contributions to a process that gradually ups the heat on corporations that continue to brazenly manufacture inequality. Wagemark hopes to work with city officials, for instance, on incorporating pay ratios into the government procurement process, by giving firms that meet the Wagemark pay ratio standard a leg up in the contract bidding process. Interested in learning more about Wagemark and how your company, nonprofit, or public agency can apply for Wagemark certification? You’ll find complete background and application information online. And a video, too!